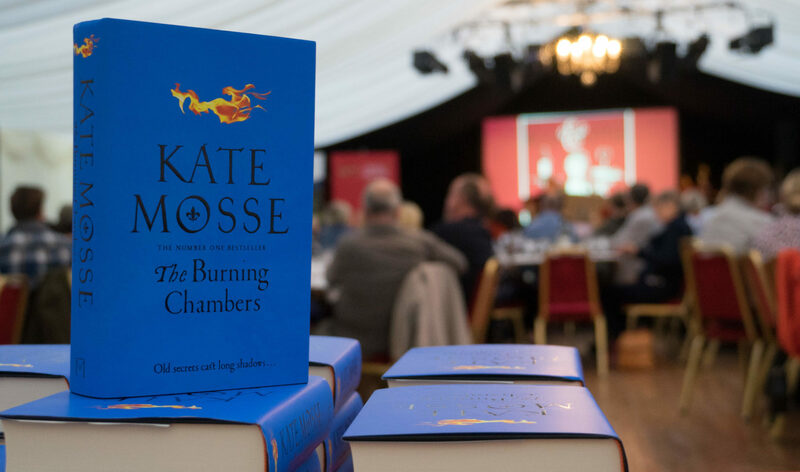 The first in a quartet, The Burning Chambers sees Kate Mosse return to Carcassone as Catholics and Huguenots clash in the Wars of Religion. It’s a truly epic tale of love and loss. 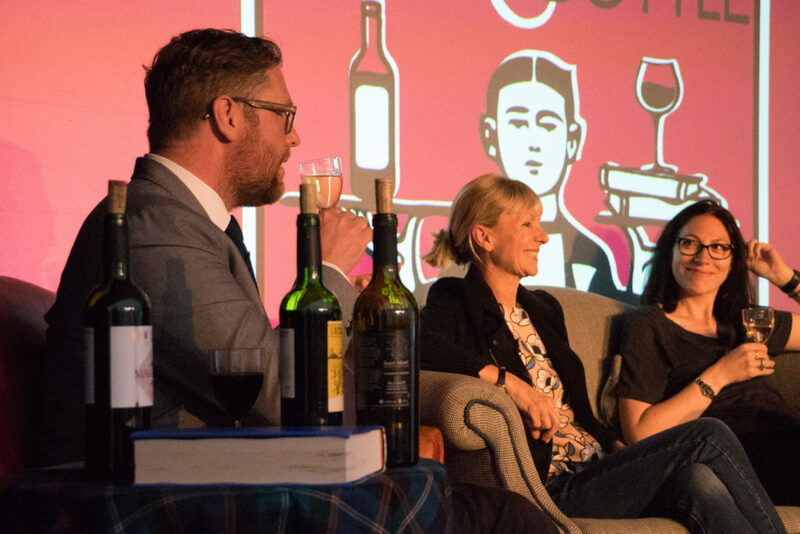 Mosse joined us at the Borders Book Festival in June 2018 with Greg Reid from Corney & Barrow to help us choose the perfect #novelpairing. The ancient town of Melrose is home to the Borders Book Festival which sees the Walter Scott Prize for Historical Fiction awarded. Between talks you can walk the romantically ruined Abbey and imagine history back to life. It’s the perfect setting to explore ‘The Burning Chambers’ which sees small town sixteenth century France riven by religious strife. It asks all the biggest questions: Would you die for your beliefs? Would you kill for them? Can love flourish amidst hate? ‘Carcassonne made me a novelist,’ says Mosse. ‘My husband bought a house there, but I’d never even visited so had no idea what to expect. Then I saw it up on the hill, this crown of ancient buildings, and walked the empty streets and just heard all these voices, all these stories.’ Formerly the final stronghold of the Cathars and Knights Templar, it’s always been wildly independent. Mosse considered this period in her multi-million selling Languedoc Trilogy – Labyrinth, Sepulchre and Citadel. We meet Minou, daughter of a rebellious bookseller, and Vidal, a priest crazed with faith, and his former friend Piet, who now questions everything. There is also the terrifying Blanche who (no spoilers) will stop at nothing to remain chatelaine of Puivert. It moves between Carcassonne and Toulouse bringing both cities to life. Minou and other locals speak Occitan, the distinct regional language, to mark themselves from outsiders. ‘In La Cite life went on the same day after Day after Day,’ Minou says. Yet a storm is coming that will sweep much away. 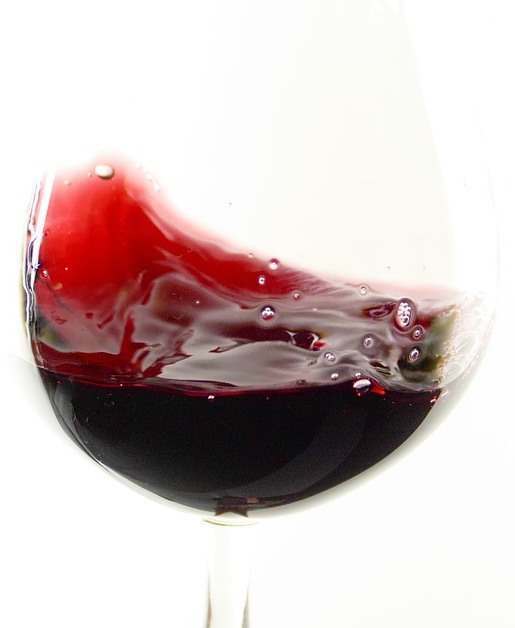 Ale was more commonly drunk then than wine simply because it was safer than water. ‘Wine then would have been sweeter but not as strong as today,’ says Greg. ‘And very sadly they didn’t have Rosé,’ adds Mosse. Greg’s first pick is L’Empreinte de Saint Mont Blanc 2014, AOC Saint Mont, Plaimont. ‘Lemon!’ cries Mosse, swirling and sniffing. ‘And something else, cake maybe.’ Natalie sips. ‘It’s too fruity for you,’ she says, knowing Mosse prefers flinty whites. But this is not simply about author preference. ‘The book is multi-faceted with lots of characters, perspectives and interwoven story-lines,’ says Greg. ‘This wine has three grapes and they’re all doing something different but together they are unique.’ I get a hint of acacia and then a surprisingly dry finish given all the ripe white fruit. It’s delicious. ‘The next bottle almost chose itself,’ says Greg pouring L’Ostal del Souquet Carignan Vieilles Vignes 2016, IGP Coteaux de Peyriac. ‘It’s a Carignan from the doorstep of Carcassonne. With an average age of 40 plus years the gnarled, twisted vines produce fruit with real character making wine with a strong sense of place.’ Ever so slightly spicy it’s rustic and unfussy – pure country. ‘You’d get that by the carafe at lunch time,’ says Mosse, sniffing deeply. Natalie nods enthusiastically: Mosse would approve. More importantly, it’s clear Minou and Piet would too. ‘And Ostal means ‘home’ in Occitan,’ adds Greg. The final pick is priciest and smoothest: Corney and Barrow Margaux 2014. ‘For all Piet’s courage and skill the undoubted hero is Minou,’ says Greg. ‘Despite being so young she stays loyal, protects her friends and those in need and faces many dangers. Margaux reflects her strength but also her gentler side in perfect balance.’ It is as smooth as the silk the Huguenots are famous for weaving. ‘It smells so rich,’ says Mosse. ‘Properly luxurious like damsons and black cherries.’ Natalie sips and swoons. I do too. So, which bottle to pair with this epic and complex book? Fittingly, for a book about war, we have a tussle. For me, it can’t be the white simply because it’s such a blood-red book. Mosse, Natalie and the audience agree. L’Ostal sees a sea of raised hands including mine -it’s local, it’s ancient and it’s got a twist. But, Natalie and Mosse aren’t convinced. 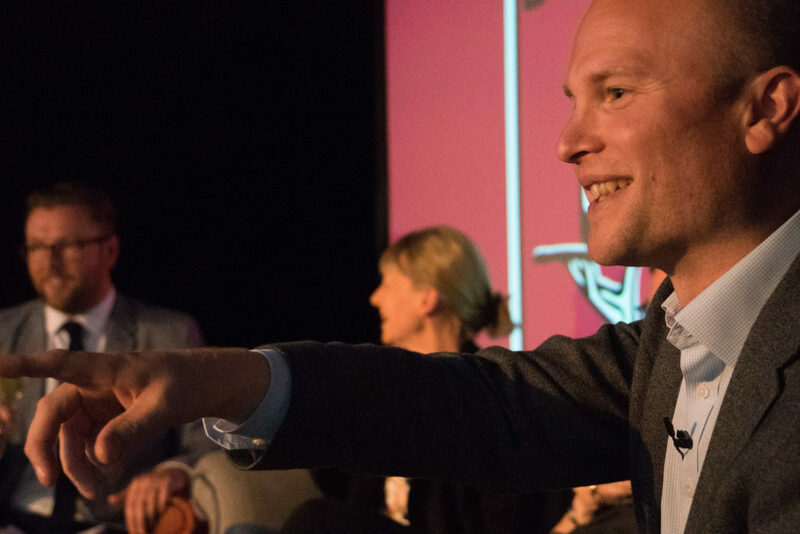 ‘The Carignan isn’t complex enough,’ says Mosse. 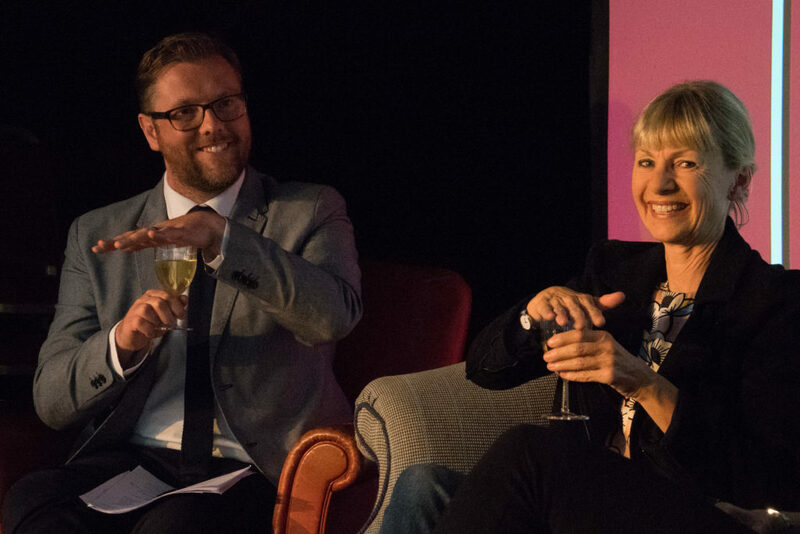 ‘Margaux generally has a longer finish and that feels truer for my book, for the whole series.’ As always, our guest author gets the final say. 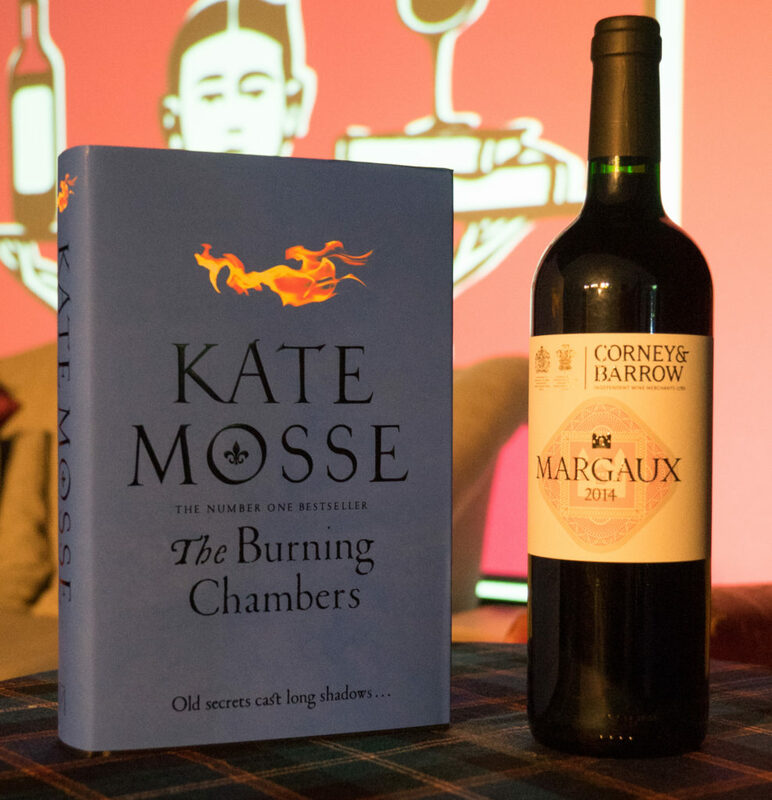 And so, ‘The Burning Chambers’ is paired with Corney and Barrow Margaux 2014. What will we pair with the next book in the series? Love wine? - Sign up to our newsletter to keep up to date with all the latest news, offers and events from Corney & Barrow. Your cart contains both retail and in-bond products, you cannot checkout with both.